3 bedroom, 2 bathroom barn conversion with rural views. The Hagguard is a renovated detached Barn which has been furnished and equipped to offer comfortable, good quality self catering accommodation. 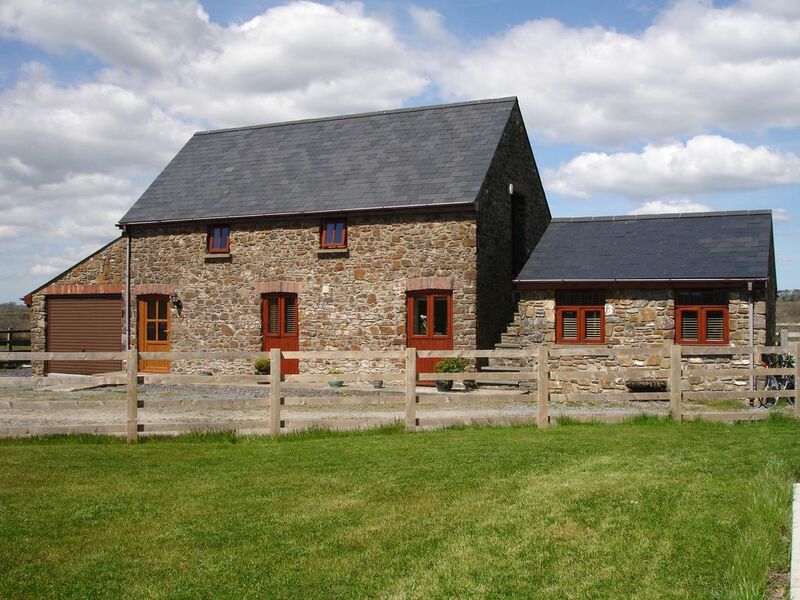 Set in a rural location on the owners farm, grazing cows and sheep. This location is also convenient for visiting the many local attractions and theme parks in the area and the County's numerous sandy beaches. The local area is ideal for walking or cycling, with the Pembrokeshire Coastal Path accessible from the beaches at Amroth, Wisemans Bridge or Saundersfoot only a few miles away. Perfect Holiday Cottage in every way! Beautiful cottage, that has everything you could need. It has all the small touches that make it a home from home. The owners are delightful, they completely leave you to it but will be helpful if you need anything or any local knowledge. It is a mile off the road in a lovely quiet farm setting but only 10-15 minute drive from the main areas such as Tenby, Saundersfoot, Folly Farm and Heatherton. I would definitely recommend visiting Broadhaven Beaches too. This really is the perfect place to stay and we will be visiting again,hopefully very soon! Best cottage we ever holidayed in! This is a wonderful place to stay! I travelled with three teenage sons. We just loved it. The cottage is fitted inside and out to an exceptionally high standard. It is warm, very spacious, the furniture is of very high quality- solid wood. Quality bedding and very comfortable mattresses ensured a good nights' sleep. Both bathrooms have quality fittings and showers and the kitchen is equipped with everything even I, who cooked every day, could possibly wish for. The location is very peaceful, the views just great, and yet so near to villages and towns, a very short drive in the car if one wishes to see more -people, pubs, shopping, beaches. Add to this the very warm welcome by the owners and their farm animals -heaven! Thank you so much!